The South Pole: Solo but not Alone: So how does one feel four days before flying off to ski solo to the South Pole? So how does one feel four days before flying off to ski solo to the South Pole? Other days, I awake feeling very alone, almost scared of what lies ahead..... I really do think about just walking away from the challenge, and rather settling for maybe a peaceful day in bed, just reading, relaxing and sharing special moments with Ruth, who now having joined me in Punta Arenas happens to be lying next to me as I go through all this. I know she is going through her own journey, but it’s not a competition, nor worthy of comparing, I have realised dwe have to largely deal with what we have to deal with, alone. Yes, I have huge support, but nobody other than myself can address the fears, find the courage, or convert the apprehension into excitement. We each have to manage this strange cocktail of emotions in a way that we find best, and for this expedition, although it is an extension of what I have done before, it’s mostly unexplored emotional ground for me. It’s quite amazing, because as I dwell in the negativity of fear, my mind explores the specifics of the journey ahead: It sometimes gets stuck on a real risk issue, and this fuels the fear, but everyday as I go through this gut wrenching process, I inevitably come onto a thread of thought that takes me to the wonder of being able to be out in the wild of Antarctica, and what I am going to experience is something very special and worthwhile. This ignites my positive fighting spirit, and all of a sudden the risks, problems, and challenges seem to fade into the background, and this superhuman character step forward and replaces the cowardly doubter, and from then on I then want to just get to the start and take on the challenge. It’s usually on awaekening in the mornings when the doubt and fear comes in..... During the day as I walk the streets of Punta Arenas, with the wind howling and a distinctive chill in the air, I often get this huge sense of excitement within, and wonder how I could EVER think of walking away from this awesome challenge, and exprience that lies ahead. I wonder why it is that waking brings the doubt..... I wonder whether it is the darkness of the night, or it’s ability to provide an escape from the realities of life, with the awakening bringing us back into the realities of life.... All I do know, is that a good cup of coffee, obviously of the fully caffinated variety, helps this transition from almost negative awakening through the verging on euphoric positiveness. Busy working again! Here I am packing daily portions of rice for the trip to the Pole. Today, we (Me and Richard's team) made 600 sandwiches for the breakfast meal. These aren't ordinary sandwiches: Dry toast, a thick layer of butter, then a dash of hone, then a dash of Nutella, and lastly a thick layer of penut butter, before the top 'lid' of toast is put on. This is just a 'starter' for breakfast! Contributing significantly to the apprehension is the daily chores list and knowing that Wednesday the point is going to come when I have to step on the plane bound for Antarctica, and there will be no more shops, or thoughts of critical provisions, and all that I have is all that I will start my expedition with..... There just seems so much to do, and so few hours, sometimes I doubt I’ll be ready, yet deep inside me I do know it will all get done. 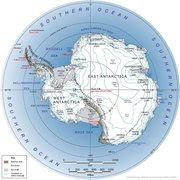 I have just returned from a meeting at the ALE (Antarctic Logistics Expedition) office where I was grilled s of their staff on the details of my route and expedition plan, by three members of their staff. ALE are the company flying me into Antarctica, and to whom I am relying on for rescue services should that be necessary. 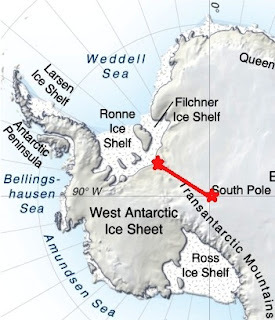 They are a very professional organisation how really try and work with expeditioners to minimise the risk, in the hope that all achieve their goals without incident. So when I say grilled, yes I was questioned on all the aspects of my expedition plan and preparation , but it is done in a helpful caring way, which does provide some sense of warmth,but also this magnifies the sense of responsibility right on to me. This is what going solo is all about: One is responsible for everything out there, and anticipation is key. A pessimistic realist approach pays off, as one doesn’t take on such an optimistic line, that the potential for problems and difficulties is overlooked. I have worked through many unfavourable scenarios, and while many may say this is being negative the process is critical for bringing up strategies that will prevent these scenarios, or enable me to deal with them should they happen. ....... It is time to go now, my mind and body are ready for action! It's not all hard work: The end of each day brings a lovely culinary exploring experience as we sample Punta Arenas' restaurants and pubs. They are diversly intersting and very authentic. What more would one expect for a beer than a local brew called, Polar!